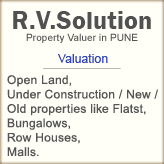 We are goverenment registered property valuers and Do property valuation for Visa,Income Tax,Loan purpose. we do it for shops,flats,offices,Land etc. Want to know your property value from government registered property valuer??? ?